THE PITCH | Returns 19th April! 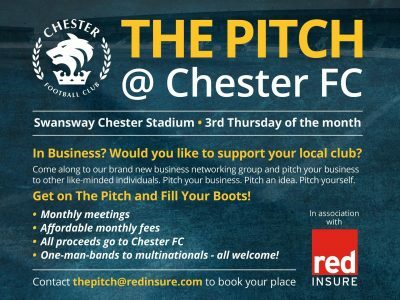 The Pitch is back at the Swansway Chester Stadium on Thursday 19th April from midday. THE PITCH | Launching at the Swansway on Thursday 15th! 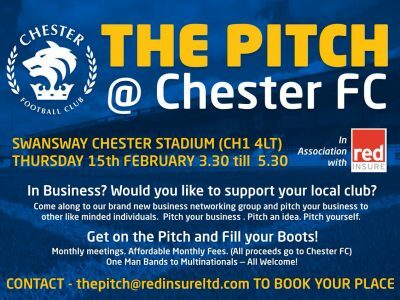 Chester FC – in association with Red Insure – are delighted to announce the launch of ‘The Pitch’.